Norwich Sports Massage was set up by Sam Quinton our principle therapist. She says: “I have always known that I wanted to help people and been extremely interested in how the body ‘works’ for as long as I can remember. Being able to help people on so many different levels with just my hands is more than I can ask for. I believe massage can benefit anyone and everyone, body, mind and spirit”. Sam is described as: “Natural, her touch is intuitive and warm, her hands are strong yet sensitive, and she has a ‘healing touch'”– Quote from Mrs. Dinnie. LaStone Therapy (similar to Hot Stone Therapy). 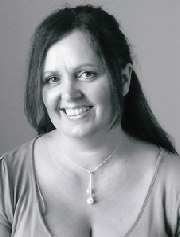 Sam uses her experience and extensive knowledge of therapies to create the very best treatment she can for each client. Many treatments involve a combination of techniques from the therapies that Sam has trained in, which include: Sports Massage Therapy, Aromatherapy, Indian Head Massage, Reflexology, Dorn Method Therapy, LaStone Therapy, Hopi Ear Candles, Pregnancy Massage and Baby Massage. Believing nothing is impossible, she never gives up and researches extensively in her field to enhance client recovery when necessary. She has worked on a diverse range of individuals to corporations and always enjoys a new challenge. Sam loves her work and it shows, she shares her passion by teaching workshops and giving lectures. Currently learning NLP and Hypnotherapy, Sam is constantly updating her skills so that she can continue to help her clients to the very best of her ability. When not at work Sam enjoys Geo-catching with her husband and three young sons. You will be in good hands with us!